The original concept of snake dates back to 1976. Since that time hundres of variations of the game have been released. On iOS alone there are well over 300 version of snake. One of the most notable versions was released in 1998 on Nokia phones and for the time happened to be one of the best things going for the phone. 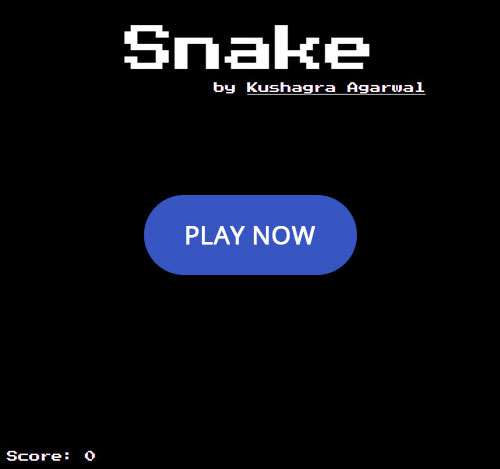 This website provides a simple HTML5 snake game that can be played for free online. There is no mode of saving your socre or any bells and whitsles this is a simple snake game and that's it. So please take it for what it is and enjoy. Click the image below to play the free snake game found here on this site. Below I've included some links to other snake games or resources to other games related pages that I enjoy visiting. Read this article on Wikipedia if you're interested in learning more about Snake and the history of this game. Just like the free snake game that I've provided you to play here on Snake-Game.com this is also a simple version of the game. Miniclip is a popular free games provider that also offers a free snake game variation that can be played here. One of my favorite sites for free games BigFishGames.com offers games for both play online for free as well as download games. Website that I enjoy that provides free online casino games and listings of sites that offer both free and real money casino type games. This site provides a great setup for playing free poker online probably one of the best that I've seen and come across online.